You may have seen the acronym SOOC, meaning straight out of camera. This supposedly means that the photographer has done absolutely no modifications to the image whatsoever. I assume this is a testament to having gotten a perfect exposure. I have a different take on this. None of my images are SOOC except some of those that I have taken with my cell phone. Even then, I edit some of them. What our eyes see and what the sensor records are two different things. Our eye-brain system does some some pretty impressive image processing, even before the image makes it to the brain. While the sensor records a linear representation of the scene – double the lightness gives you double the voltage out of the pixel – human vision works in a very non-linear fashion. This means that when the lightness is increased twofold, the response is not as much. This is what allows us to see more details in the lowlights and the highlight….and at the same time. The camera sensor just can’t do that without clipping and/or saturating. If you shoot in RAW then you are getting as close to SOOC as you can get. You are should be getting the linear representation of the scene (both CCD and CMOS sensors are linear) along with the noise induced by the sensor and the electronics, the blur induced by the optics, and the lack of contrast because it’s a linear representation and because the optics affects the contrast. If you are shooting in JPG then you are not getting anything close to SOOC (in most cases) because the camera is performing noise reduction, sharpening, and contrast, saturation, lightness, and white balance adjustments for you. That’s what all those camera profiles are about. But SOOC is NOT what the eye sees although in some cases it can be close. The processing provided by human vision performs all of the aforementioned processing as well as a very impressive performance of white balance. In human vision it is called color constancy and has been the subject of many scientific studies. It also does a great job of dynamic range compression which is squeezing all the very bright highlights and dark lowlights of a scene into roughly 12-bits of imaging data that we can comprehend. Currently, the displays that we have (and printing technologies available) can only handle 8-bits. If you work the math, it’s a significant difference. 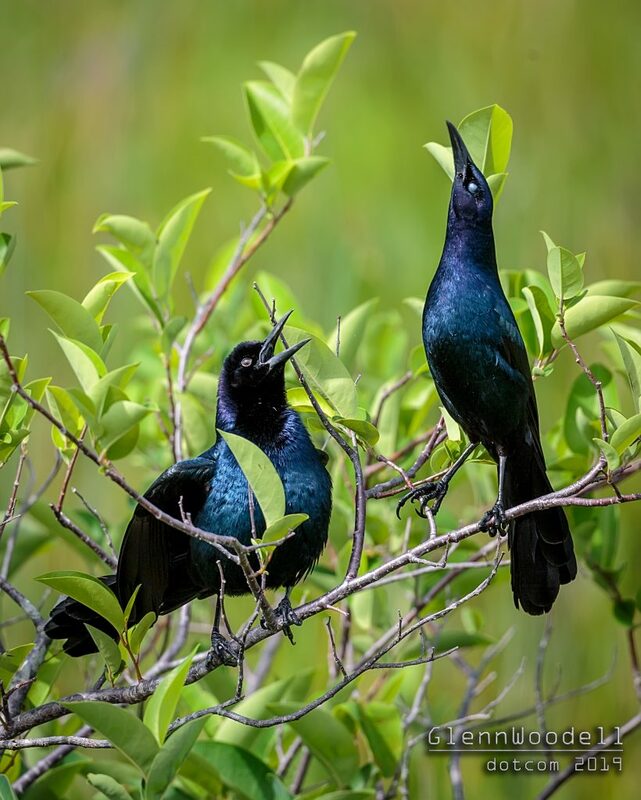 I was prompted to write this article after seeing an (yet another) image posted as SOOC that clearly had at least a saturation increase and some sharpening. Whereas the original subject, that I know all too well, was bright, colorful, and sharp, it really should have been drab and lifeless which is closer to the reality. There is some processing going on that this person may not be aware of. In that respect, I will accept that it is straight out of the camera but I will not accept that it is an entirely unedited image. 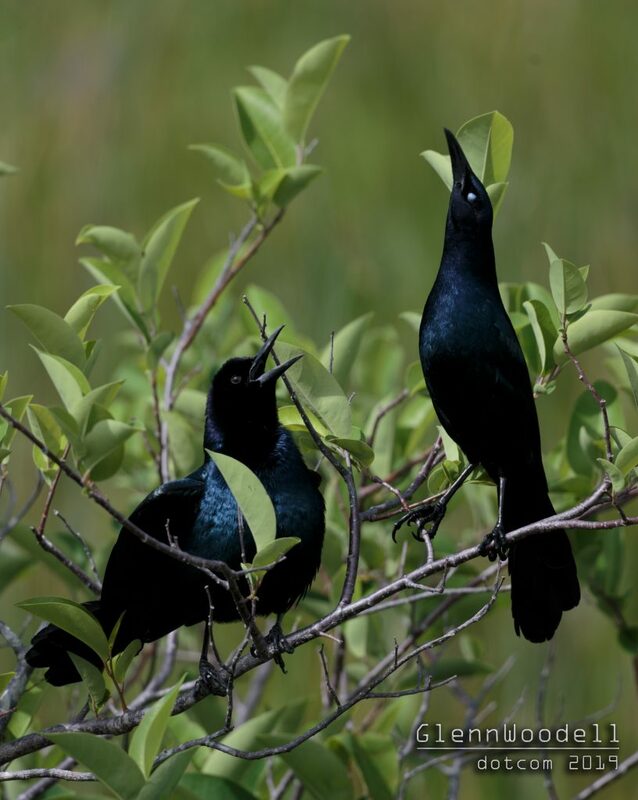 An image of two dark, male boat-tailed grackles in very bright sunlight. As close to straight out of the camera as I could get. Does this look anything like what you would consider true to the scene? This is just my opinion of course, but it comes after 20 years of studying human vision and developing electronic sensors and hardware processors to try to make computers “see” like we humans do. Same image but with adjustments to lightness, blacks, shadows, contrast, saturation, and noise reduction and sharpening. Which one looks more realistic to what you think you would have seen? I edit ALL of my images. But my goal in most cases is to make them look as realistic as possible, especially with my wildlife images. Each person has a style of processing of their own. There is no right way to do it as much as you may hear otherwise. None of it is right because from the beginning of the image capture, we are not getting what our eye “sees”. Seeing is a truly remarkable process that we all take for granted. Was enlightening by your comments on how the human eye works and like the concept of editing to create an image that most looks like how we see it. For me that is especially true when especially true when photographing nature or wildlife.